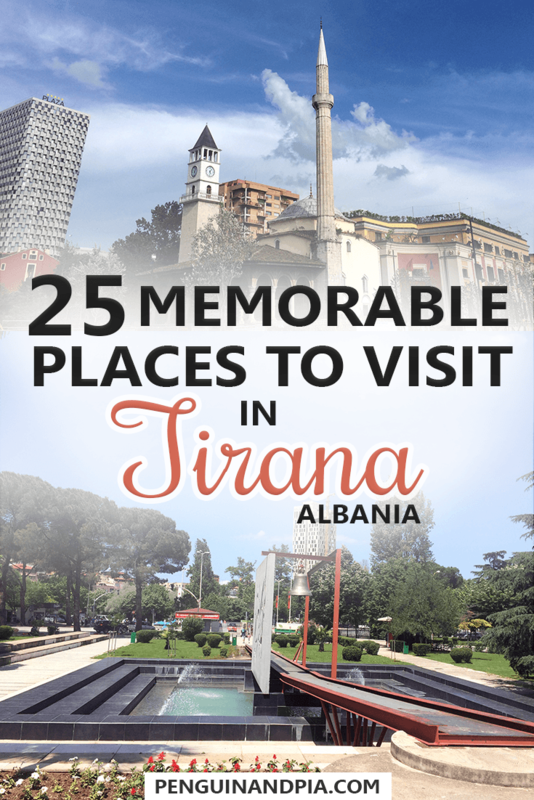 Here are 25 Memorable Places to Visit in Tirana, Albania! Let us guess – you’re thinking about going to Tirana and you’re asking yourself “Is Tirana worth visiting?” Well, we think the answer is: Yes, absolutely! 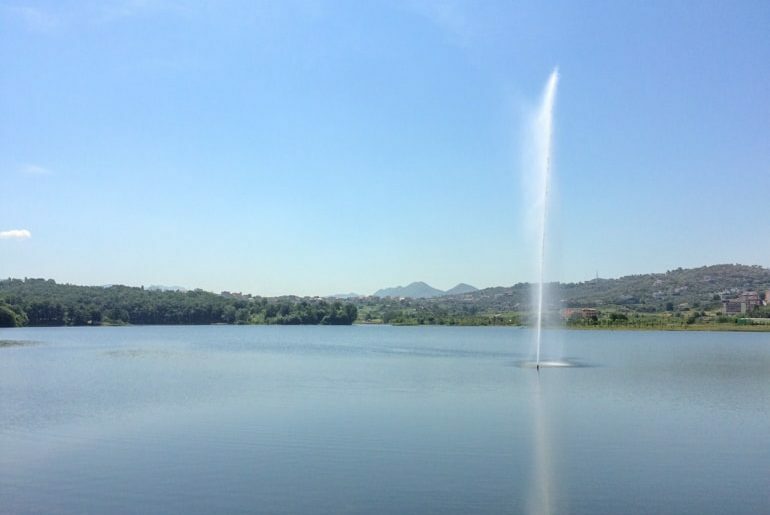 From historic architecture to their Grand Park and Artificial Lake, the capital city is safe and alive with culture, food, and nature. You won’t have to search Tirana on TripAdvisor for the best Tirana tourist information once you’re done here! We did a free walking tour in Tirana and we’re really glad that we did. If you know us, you’ll know that we usually do a free walking tour in a city. They are usually the best knowledgeable guides for a very affordable price (you usually tip what you think is fair). Our guide was excellent – very knowledgeable and funny. He even stayed for questions and recommended things to other travellers at the end. So, that’s how we ended up knowing about many of these places – and we went back to the ones we wanted to see more of! 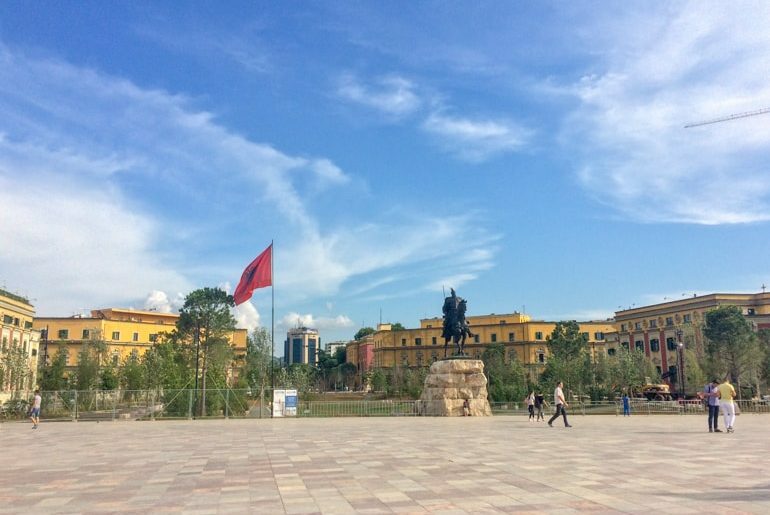 We’ve compiled the best attractions, a few restaurants, and other places to visit in Tirana. Oh, and if you’re looking for the best bars in Tirana and whether the Tirana nightlife is any good – well, we’ll tell you where to find it! 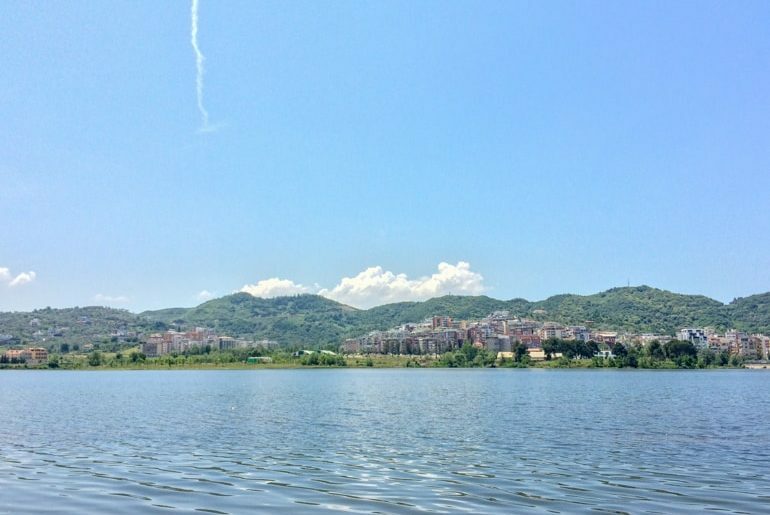 Ready to explore Tirana? Let’s go! To give you a sneak peek of what the capital city – the Grand Park more specifically – looks like, watch the video below. You can watch the whole video on our YouTube Channel here. It’s probably good to write a few sentences on why Albania is the way it is today and why people regard it as “underdeveloped, unsafe, and crime-ridden”. In short, there’s a long history about medieval Albania and during the Ottoman times in the 15th century. It’s a fascinating history. 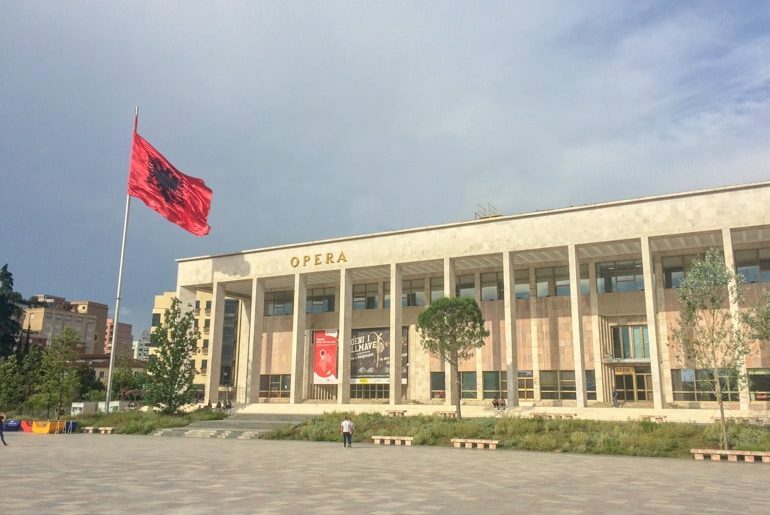 The more modern history is the piece that has shaped Albania the most. Albania was ruled by Enver Hoxha from the end of World War II (1945) until his death in 1985. Hoxha was a repressive, Stalinist-style dictator who essentially held the country hostage for 40 years. No one could leave, basically no development, poorly run industries, corruption, low exports, “thought” police, labour camps, you name it. Albania was closed off from and to the world for decades in the harshest way possible. Fast forward to now – and Albania is still healing as a country from his rule. It will take generations to correct and mend the country but Albania is already thriving in many areas. As such, the capital city is benefiting from more development, investment, and has a very bright future. It’s already so beautiful and full of life. We’re very glad we learned about the history because now we understand why Albania is the way it is! As with other places on our 4-month Balkan Itinerary, we got to Albania sort of on accident. We knew that we wanted to check it out but we technically didn’t have it booked in. We only booked in Romania, Hungary, and our long stay in Split, Croatia. It was only after we looked at buses, accommodations, and the flight back to Western Europe that we added on visiting Bosnia and Herzegovina, more of Montenegro, and finally, Albania. We actually took the bus down to Tirana from Ulcinj, Montenegro. We are SO glad we went because we absolutely loved the capital. In many ways, we felt very safe and at home. To be honest, we didn’t really want to leave. In time, we plan to write a whole post on our experience in Albania because we didn’t know what to expect going into it. Hopefully, a post like that would be useful for people considering a trip there! We stayed in an Airbnb that was beautiful and became our home for the 3 weeks we were in Tirana. It was very close to the centre so we were only a quick walk away from cafes, restaurants, grocery shopping, and lots of other stuff. If you’re heading to Tirana and don’t like Airbnbs, there are also lots of nice hotels all over the city centre that are gorgeous and very affordable. Tirana is REALLY cheap and awesome. Bunkart 1 and 2 – Counts as Two Places! Skanderbeg Square – or Sheshi Skënderbej in Albanian – is the heart and soul of the city. As a central meeting point for culture, tourism, and as a venue for festivals and concerts, Skanderbeg has it all. It even has a monument to Skanderbeg, a national hero who, centuries ago, defended Albania and resisted Ottoman rule. The Square itself has little holes all throughout the tiles. In the summertime – when the temperature is almost 40 degrees C – water shoots out of these holes. It covers the Square in a light layer of reflective water and helps to cool the Square. Kids can also play in the water which we’re told is quite the sight since everyone shows up there on weekends in the summer to cool off. Tirana is a city that feels like a community in many ways and it’s awesome. Our photo of the museum is obstructed by the concert happening that evening! The National History Museum is the largest museum in Albania. If you want to understand the history of Albania from way back in medieval times until today, this would be the place to go. The building itself was actually built during the Communist regime so it stands as a good example of Communist architecture. Our guide told us that the mural is a bit of a propaganda piece as it depicts all the different times in Albanian history all together as one. In actual fact, there’s a dark history to the country that this kind of beautiful facade tried to gloss over. The price to enter is 200 Lek and there are quite a few objects and exhibits inside – all divided up by timeline. Opening hours differ from one website to the next so here is the official website for the museum. This is another one of those things that we didn’t do and we highly regret. If you want to get out of the city for the day, you can head up to Dajti Mountain to check out the amazing views. At the top, there is a restaurant, hotel, adventure park, trails for hiking, and more. The price is 1000 Lek for a return journey. The information about how to get to the cable car is a little scattered. You can take the public buses or a cab to the base but be sure to negotiate the price before you get in. The Cable Car website outlines what you should do here. Apparently, they have a free shuttle bus from the centre of the city to get tot he base station BUT their official website says they were having issues running it. However, there are reviews on TripAdvisor mentioning that the shuttle is running. So, before you go be sure to check for updates. You can check out the official website for prices and opening hours here. So you know – those steps by the flag are where you meet the Walking Tour guide! 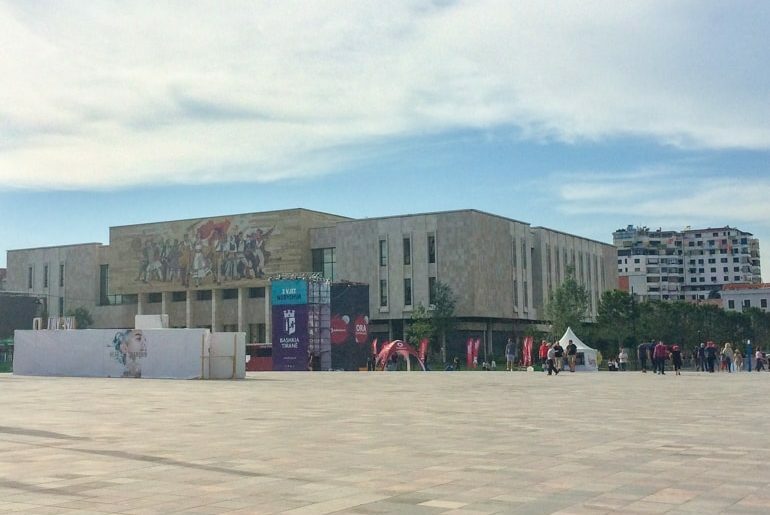 This massive building was constructed back in Communist times and is beautiful to look at from the middle of Skanderbeg Square. There is a library in the building with many books by Albanian authors – and the most famous have been translated into various different languages. The performances themselves have apparently been moved for a few years while they do renovations. You can see a ballet or opera, but you’ll have to travel to the east end of the city. Although the collection of art is quite small, the importance cannot be understated. The Gallery was officially opened in the 1950s but today, you’ll also find examples of “Socialist Realist” art. This means that you can see pieces produced during the Communist Era that are, arguably, very ridden with propaganda that paints the regime in a positive light. Fascinating take on history from a different perspective and definitely one you can’t get anywhere else. For ticket prices and opening hours, you can check out the official website here. 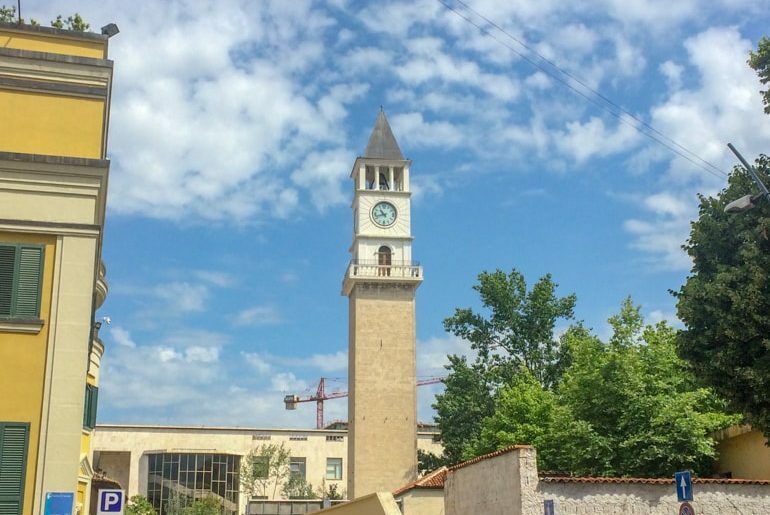 Originally built in 1822 by Haxhi Et`hem Bey (the same guy who also built the mosque physically right beside it), the Clock Tower (Kulla e Sahatit) is definitely something you should check out! There are 90 steps to the top and the 360-degree views of the city are amazing. Since it is a very important building for the locals, we’d recommend you to check it out. The opening hours can be a little inconvenient though. As far as we know it is closed on Sunday and isn’t open until late in the afternoon on Saturday. This pedestrian street is actually quite short but quite nice to explore. Located in the middle of the city, it’s lined with cafes and small shops and stalls. The coolest part? The road is made to look like the musical lines on sheet music that you would play with an instrument! At night, the street is lined with colourful lights that make it look really pretty. We even saw a kids’ festival with different vendors and performers on the street one time we were walking through. Pretty cool! Of all the things we don’t have a photo of, it’s this street! So, this means that you’ll have to go there for yourself and check it out! It’s important to remember that because Albania is so close to Greece, there is a heavy Greek influence on the area. This includes food! If you want great Greek “fast food” that is delicious and super local, head to Souvlaki & Grill Greek. Because it was so close to our Airbnb, we always walked by it heading into the city centre. Once we stopped and had a quick bite – and then we stopped another 2 times during our trip! 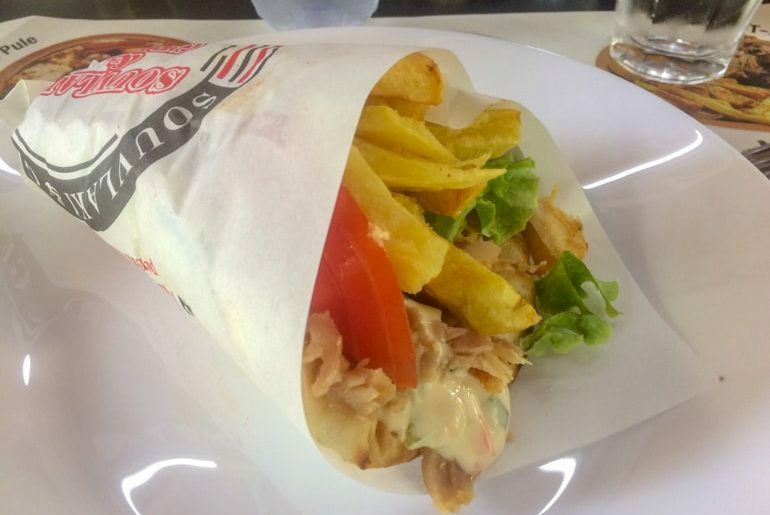 The classic item to get is the hand roll called the “Real Greek Souvlaki” on the menu. It’s filled with chicken, vegetables, special sauce, and french fries. It was Lisa’s favourite! Although you can find this style of “fast food” all over the city, we really liked the version Souvlaki & Grill put on! If you want to check out their website, here it is! This giant open market area was recently (2017) reopened after extensive renovation. It used to be the old market (Bazaar) but the city’s extensive efforts to rejuvenate certain places made this market a hub for locals and tourists. It’s a walk that is less than 10 minutes from Skanderbeg Square to the east. You’ll find (almost) everything here – from fresh fruit and produce to locally made goods such as bags, fabrics, art and more. The city did an amazing job keeping the unique architecture styles/influences in the market area. On weekends, the square usually has more structured events like performances or events for kids. Check it out when you visit to see what’s going on! 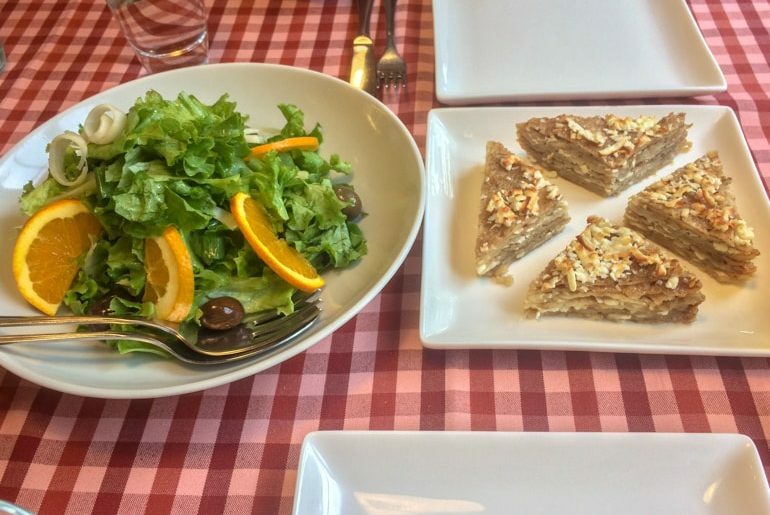 Our salad and Albanian pancakes filled with cheese and garlic. SO good! Wherever you go, and whoever you ask – if you ask about where you should eat dinner… you’ll get one common answer: Era. You have to eat at Era. Located in the Blloku, it was suggested to us by our Airbnb host, and then on Google, and then many blog posts told us that we should probably check it out. Well, we did – and we really liked it! The food was super good. We had a variety of things from our starters (shown above) to our main courses: Fergese (the national Albanian dish of baked peppers, tomatoes, and cheese) and Lisa had wine leafs rolls – like cabbage rolls with meat and rice inside. As per usual, everything was amazing – and very cheap considering the portions and how nice Era is. We like Albania dining culture because everything comes on large plates and then you get smaller sharing plates to share and distribute the food to yours. Kind of like tapas in Spain. Address: There are two locations, we went to the one at Rruga Ismail Qemali. It’s important to realize the significance of Et`hem Bey Mosque. 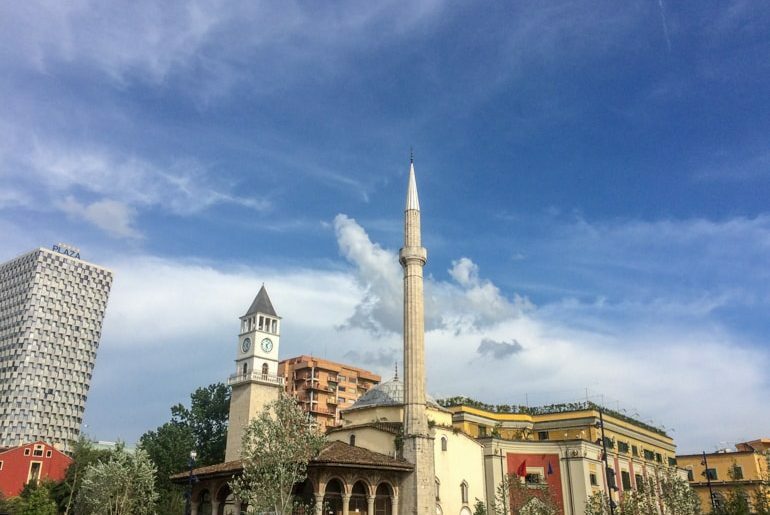 This 18th-century mosque is the oldest in Albania – and it has been through A LOT. During the rule of Communism, many of the places of worship were closed and destroyed by the regime. The mosque was allowed to stay standing because they (the ruling party) didn’t want to erase its architectural beauty and significance from the city. So, they kept it up to be a museum/cultural entity, essentially. Years later after Communism fell, it was reopened for worship. Now (2018), the entire square area and the mosque is under a massive restoration which (when we visited) already looked beautiful. The mosque itself is under heavy restoration and we could therefore not go inside. Address: Skanderbeg Square, southwest corner – can’t miss it! 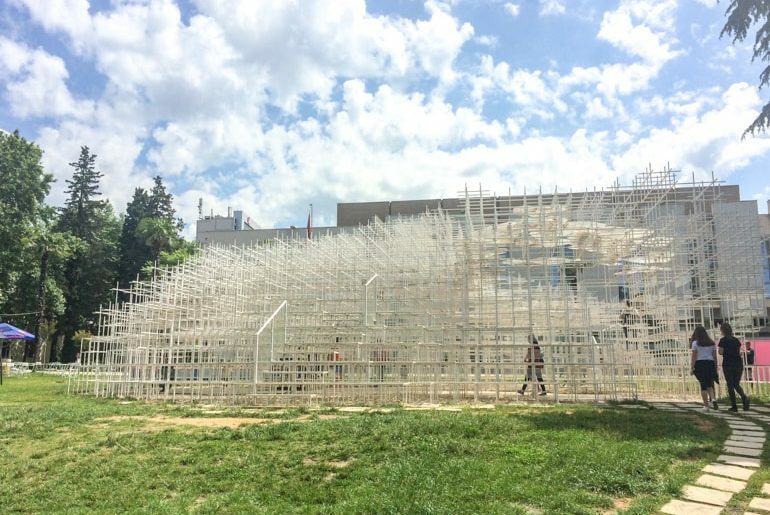 If you’re in Tirana, you’ll be told to visit the Pyramid. You’ll probably be really confused until you see it and realize that they have an actual pyramid in the city. 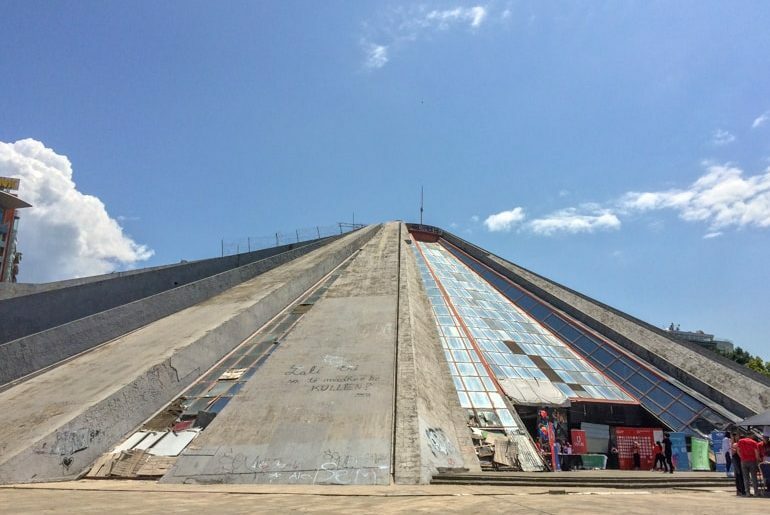 The concrete giant was built during Communist times as a museum to the old leader. It now serves as a site of resistance as well as a sort of “sad” nod to the past that shaped the country so deeply. These days, it”s used by organizations for canvassing. The coolest part is that you can actually climb it – free of charge. Like, you can walk up the outside with no security, safety guidelines, nothing. Just go. Kids use it as a slide, it’s covered in graffiti, and the views from the top are amazing. Just be careful going down because it’s pretty steep. Perhaps use a “bum shuffle” technique if you’re worried. We didn’t go up because Lisa was too worried to hurt herself. As the third largest Orthodox church in Europe, the Resurrection Cathedral certainly has something to stand tall about. Opened in 2012 but not consecrated until 2014, this was to celebrate the revival of Albanian Orthodox Church which had largely been suppressed by the Communist regime for decades. You can go inside to check out the beautiful interior. The cathedral also has a massive bell tower beside it. This makes it easy to find if you’re walking down the street. There’s also a new “skyscraper” going up across the street! The Memorial to Communist Isolation or “PostBllok Checkpoint” is seen as one of the sad reminders of the past during the Hoxha regime. This small park is situated just off the main road and across the street from the Government Building. The park has various structures with a rich and dark history to tell. 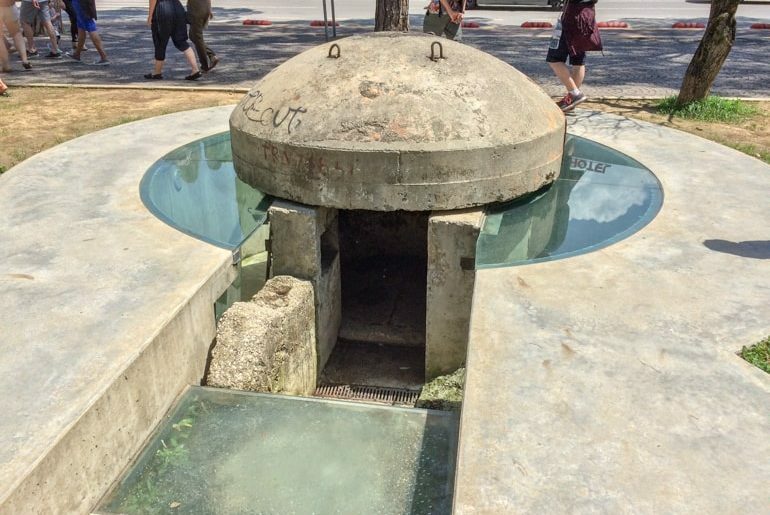 There is one of the bunkers – one of thousands across the entire country – that were built all over the country during Communist times to fend off potential invaders that never came. In another area, you’ll find the support structures of the Spaç labour camp which was an old mine where political prisoners were worked to death for decades. Finally, you’ll see a graffiti-covered section of the Berlin Wall – donated as a reminder of what oppression can do to a country and its people. 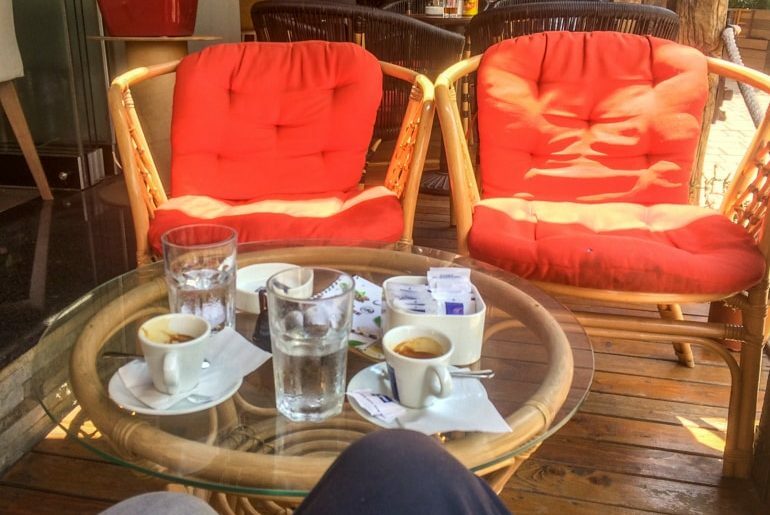 When you’re in Tirana, you’ll notice that coffee plays a big role in everyday life. There are lots and lots of coffee shops all over the city. Our walking tour guide told us that Albanians stole their coffee culture from the Italians – and it definitely shows. Having a coffee (read: espresso) is a very social experience that can happen at any time of the day. So, let’s make sure that we’re clear – there are SO MANY places to grab a coffee all over the city! We got really used to drinking espresso from our time in Bosnia and Montenegro that it was an easy transition in Tirana. While there are a few chains you’ll see again and again, one of our favourites was Mon Cheri. The location we liked was just down the street from our Airbnb. That said, there are lots of smaller cafes all over the city where you can sit outside and enjoy a coffee. 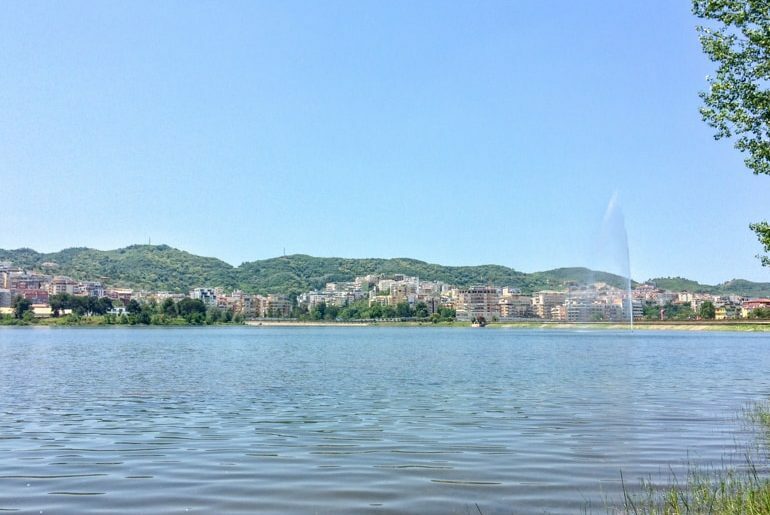 If you’re just learning more about the city, you should know that one of the best places to visit in Tirana is Grand Park and the Artificial Lake. 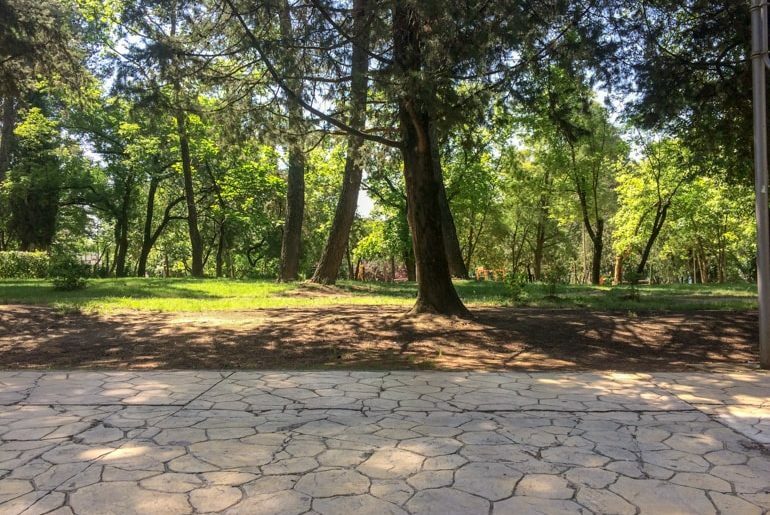 We were told to go on a Saturday because that’s what many people in Tirana do – hang out at the park. Well, yes – the city does go to the park on the weekends! Located in the south end of the city centre, the Park is a huge urban green space with lots to do. Close to the entrances, there are shops and cafes to sit at by the lake. The lake itself is beautiful and lots of people walk along the paths so be sure to bring stuff for a picnic. Inside the grounds, there are huge forested areas with so many walking paths criss-crossing in all directions. There are structures for kids to play on, sports areas, water fountains, restaurants, a small outdoor theatre, and much more. We filled up our water bottles and went for a long walk after sitting on a bench and enjoying the warm weather. We then went down to the lakeside and just enjoyed like a local. It was the perfect Saturday in Tirana. You’ve got to see how beautiful it is! Yes, we mean a cloud! At first you might wonder what we’re taking about – and then you’ll see it and it will make perfect sense. There is an art installation called “The Cloud” and it looks like a giant cloud. Donated by a Japanese artist Sou Fujimoto, the cloud is on display in the city centre. You can actually walk inside and up the steps to climb it. We first saw it on our walking tour and then returned a few days later to check it out. We took a few photos and hung out in the cloud one evening before dinner. It was pretty cool! It’s also used for small performances, movie nights, and as a general social space. It’s in Tirana until April of 2019 so be sure to check it out before it floats away! It’s no secret that if you want Tirana nightlife – you go to the Blloku. The famous neighbourhood is full of shops, bars, clubs, and restaurants that make it a lively place on any weeknight, and even livelier on the weekends! One of the suggested things in the area was the Panoramic Bar and Restaurant in the Sky Tower. You’ll get great views of the city from this beautiful vantage point. If you want to stay on the ground, just walk around the Blloku and see what’s popular. We went for dinner at Era in the Blloku and the patios were just starting to fill when we were there! Unfortunately, we didn’t go “out” to any clubs so we didn’t fully enjoy the nightlife but we know Albanians to be social people so we can imagine it’s really good. 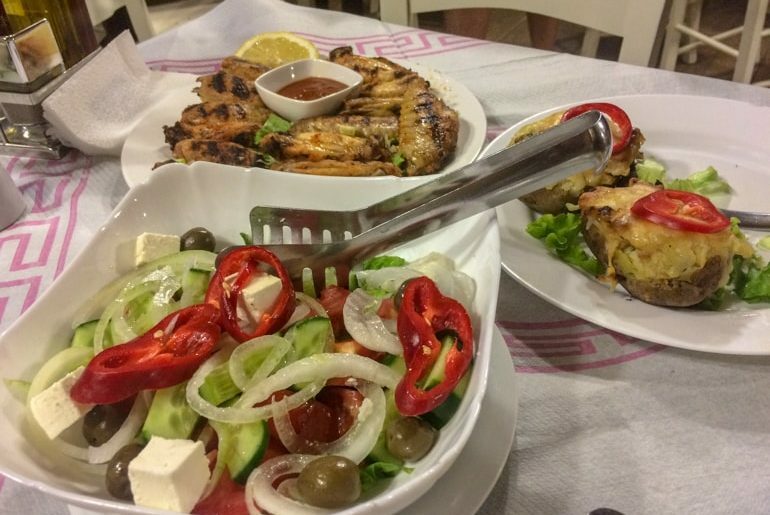 If you want an authentic Albanian grill experience, then check out our favourite grill place Tek Zgara Tironës 2. It was so good we ended up eating there twice. The first time we sat inside and it was nice – very casual and lively. We had a huge salad, stuffed potatoes, chicken wings, and the famous Balkan sausage called Kofte. The second time we say on the sidewalk in the large wooden booths. It was awesome. The night was warm, we had amazing food (fergese, grilled vegetables, and sausages) and cold beer – and it was all SO cheap. The staff were also all very nice and spoke English. The first time we were there we noticed other backpackers/travellers so it’s definitely the place people suggest for a good first meal in the city. But don’t worry, it’s not at all touristy. This location is not to be confused with Zgara Tiranës 2 Restaurant which is a VERY similar style of restaurant. Both on the same street so that doesn’t help you! Looking to try the local drink? Head to Komiteti Kafe for a shot of rakia. The place is one part cluttered museum, one part cafe, and one part bar! People say you go to Komiteti for an authentic Albanian decor from the communist era and hospitality that you don’t get anywhere else! If you need a coffee, they have it. If you want something stronger, they have many varieties of that, too! 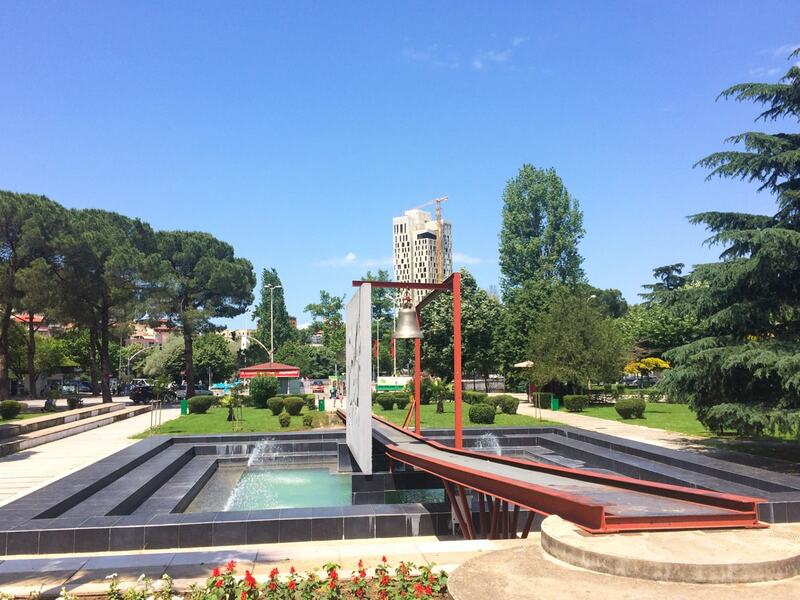 The Peace Bell is very close to the Tirana Pyramid and has a somber history. We didn’t mention in the history section that Albania had a short civil war in 1997. The war was caused by financial unrest between the government and many citizens. After about 6 months, over 2,000 civilians had died in the clashes that occurred between groups. The Peace Bell is meant to remember those fallen and serves as a reminder of violent times having past. This is because the Bell itself is made from the bullet casings that were collected by children after the fighting. Pretty deep, huh? Remember we mentioned how the regime spied on everyone during the Communist Era? Well, House of Leaves is a museum dedicated to educating people on how the Secret Police worked. For 700 Lek you get to see old equipment and hear old stories from citizens. It’s chilling to think that all adults in Albania right now lived through these times – of a total totalitarian regime. Definitely a must-see if the history of Albanians draws you in to learn more. You can check out the website here. Given our interest in wartime history, and given Albania’s rough past – Bunkart seemed like something we had to check out. Unfortunately, like many other times on our adventures – we ran out of time! 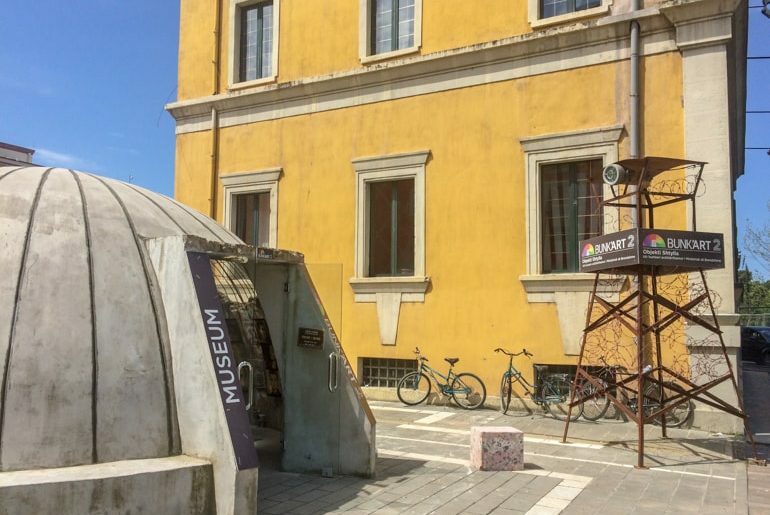 In Tirana’s centre near the Clock Tower is Bunkart 2, a museum dedicated to showing what Albania was like during the Communist times. They cover prisoners of war, labour camps, secret police, etc in what we were told is an interesting and moving display. The name is from the fact that the entrance and museum are in an old bunker. Bunkart 1 is larger than Bunkart 2 because it was an abandoned military bunker intended to keep the country’s elites safe in case of nuclear war. They have converted it into another museum which helps tell you about the past 40 years during Communist times. Bunkart 1 is farther outside the city centre. To get there, you have to take a bus. Our tour guide told us to take the blue bus there but we cannot give you a specific location where to find it. Just as a local and they’ll probably be able to help you! One of the first things we want to do when we get back to Tirana is to visit Bunkart 1 and 2. 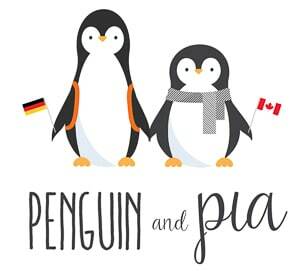 You can learn about these attractions on the website. Rinia is always described as a “nice little green space in the heart of the city” because that’s exactly what it is. 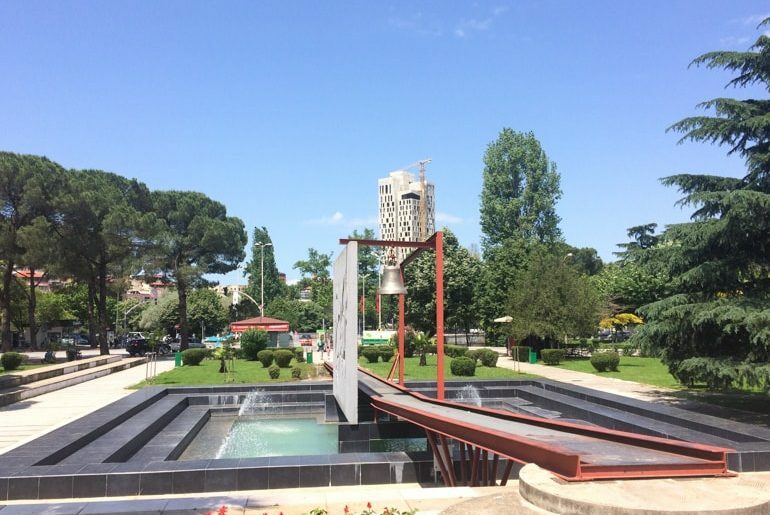 Built in the 1950s, the park has various buildings and cafes, attractions for kids, fountains, and the famous “I Love Tirana” sign that you obviously have to take a photo with. The park is usually full of families or people relaxing on benches or having a picnic – right in the heart of the city. We wandered through one evening on the way to dinner and it was beautiful! And there you have it, some of the best places to visit in Tirana. What do you think? Anything you’d add or did we get them all? Honestly, we loved Tirana and we are determined to get back there soon and do the things we didn’t get a chance to visit!